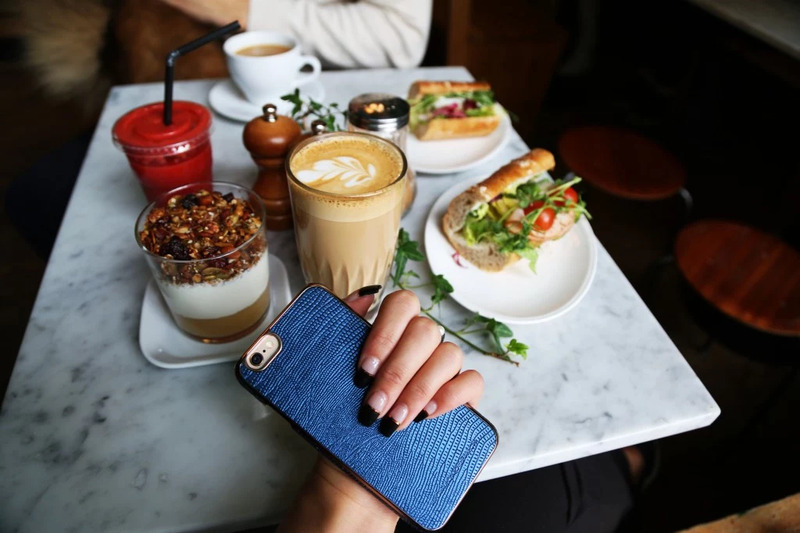 My newly found crushes - new Iphone 6 in it's first fab case and super delicious breakfast at café Orion! First things first, I have been having so much problems with my old Iphone 5s, maybe mostly my own fault - due to overjammed storage all the time. But as a blogger you take photos of everything times too many!? So I invested in more data and storage on this new one, serious relief to not have to worry about the storage getting full all the time. The navy/bronze case is from Richmond & Finch (I also have one in green marble that I have been getting so many questions about, will show u later) and it's a perfect fit. Easy to take on and off also which is super important for me, since I tend to switch Iphone cases regularly. And yes, it goes great with my new bold frenchie nails with bronze lines!